Do you need help configuring your entry settings? You can configure the settings for all related topics via the menu. Choose Apps > Settings > General management > Language and input. 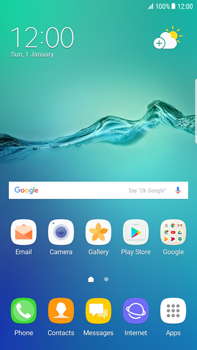 Turn your Samsung G928F Galaxy S6 edge+ – Android Nougat off, reboot it and check whether the problem has been solved.